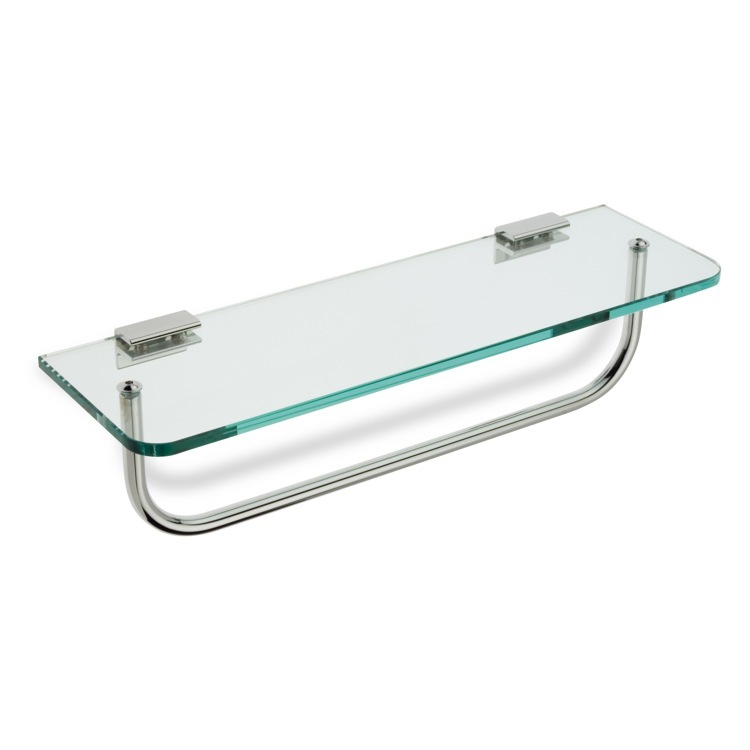 Here's a nice look for a wall mounted 16 inch clear glass bathroom shelf with an attached towel holder in polished chrome. The towel rod and brackets are made of solid brass underneath the shiny chrome finish. The rounded corners of the glass shelf and towel holder will look good with your other bath décor.